VGP 319 Discussion Topic: Most Fun Games of 2018! Re: VGP 319 Discussion Topic: Most Fun Games of 2018! It’s been a strange year for me. While I cannot recall too many great games of late — other than my usual of playing a heavily modded Skyrim or making my own mods — there were few I consider to be all that memorable. 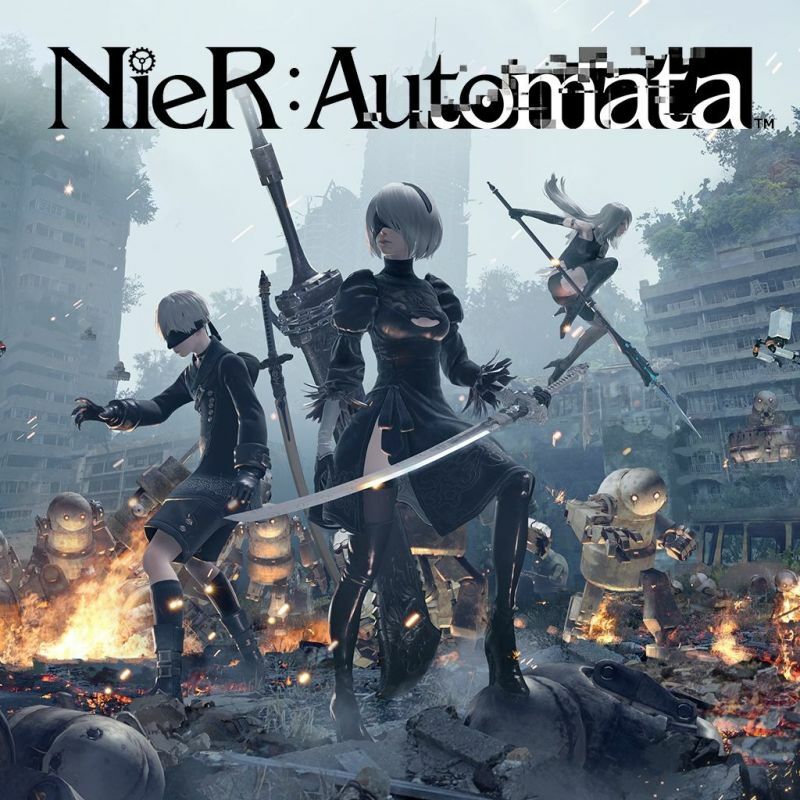 But lately I went back to Nier: Automata and began to play the living cr*p out of it, determined I was going to complete all three main endings this time and as many of the side-quests as possible. I can say it has been a fun romp, and now I am casually attempting to complete all 24 variant endings (aside from the 3 main). NeiR: Automata (which I bought last year but I got distracted by other games so I didn't get to play it until January 2018). I spent 3 months playing NieR: Automata because I wanted to unlock the 5 main endings and in doing so I also unlocked 10 of the bonus endings. Spiderman was the next game I spent about 2 months playing. It was just so fun swinging around NYC as a superhero and stopping crime. This game was just ridiculously fun and the graphics were gorgeous. OMG, you gais! I actually played a game that came out in 2018- IN 2018! You may have heard of this game (like, in the previous post) and it's a web-slinging good time. Of course, I'm talking about the new Spider-Man. Finally, people can stop talking about the Spider-Man 2 for the PS2 as the best Spider-Man game ever. Some old fogies may still insist on that game being the GoAT. I did spoilers to myself for Christmas, and my brother bought me a copy of Skyrim, so I think I may be back to naming old games as my best of the year in 2019. It's been a busy year so fighting games have been my best go to where you can easily play a few rounds and get some instant thrills and what a year to be into fighters! Street Fighter V actually got gud with arcade edition bring new moves, balances, modes and new characters like the President of the World, G! Also I couldn't not mention perhaps the best Anime game or at least anime fighter our there Dragin' Balls FighterZ. This game plays as good as it looks and it looks beautiful. Honorable mention goes to Smash Bros but I've just opened so haven;t much time with it yet. 2018 is one of those odd years where I didn't play many games due to me getting fed up of the Video Games Industry in general. However one of the few titles that did hold my attention is one I mentioned before, that being "Endless Sky", a space trading and exploration game that is similar to "Elite Dangerous" in concept except it is played from an overhead 2D perspective. There is barely any content for it and it is still in beta but there is enough to keep me going in it. In fact Steam calculates I spent almost 160 hours on it, more than the amount I spent on "The Witcher 3" (151 hours) so that probably says something about the game. Or me. More likely the latter. Its a Toss up for me between Starbound(modded) and Final Fantasy 14. Fallout 4 - I played this game the most out of all other games this year. I love this game so much. After you beat it you can keep coming back to it and messing around with mods. DOOM 2016 - This was my first Doom game ever! It was so much fun playing through demons and going through the story. Honorable mention - Factorio, this game will completely demolish your social life and you won't care that much because youre having a blast. P.S. sorry for the wall of text. Last edited by GhoulShinobi on Fri Jan 11, 2019 1:42 am, edited 1 time in total. I might have just put 400 hrs into Creeper World 3. I'm not sure if that's fun or just masochism. It didn't come out in 2018, but I only just learned about it this year. One hell of a decent game.